Climate change is not just a scientific fact, nor merely a social and political problem. It is also a set of stories and characters that amount to a social drama. This drama, as much as hard scientific or political realities, shapes perception of the problem. 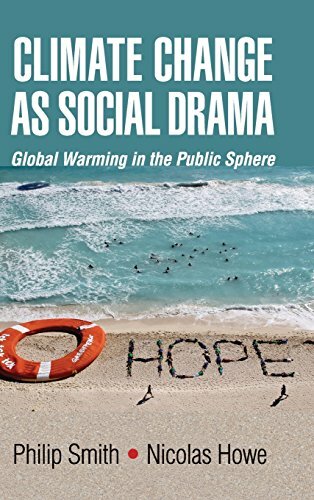 Drs Smith and Howe use the perspective of cultural sociology and Aristotle's timeless theories about narrative and rhetoric to explore this meaningful and visible surface of climate change in the public sphere. Whereas most research wants to explain barriers to awareness, here we switch the agenda to look at the moments when global warming actually gets attention. Chapters consider struggles over apocalyptic scenarios, explain the success of Al Gore and An Inconvenient Truth, unpack the deeper social meanings of the climate conference and 'Climategate', critique failed advertising campaigns and climate art, and question the much touted transformative potential of natural disasters such as Superstorm Sandy.